2018 continues on for UMD and gets important quickly. This weekend the Bulldogs host UND for a pair of NCHC games. UMD then travels to Mankato on Tuesday, January 23, to play MSUM for the back end of a home and home series that started in Duluth November 25. The following weekend the Bulldogs host Saint Cloud State for a conference series. The last games of this grind for UMD occur at Denver the following weekend, February 2-3, at Denver. So that means UMD will play four teams in three weeks for a total of seven games. Those four teams are currently ranked in the PairWise (PWR) #10, #8, #3, and #6 respectively. Not Save Our Ship, not Save Our Season, not Save Our S*#t, but Strength of Schedule. UMD has logged the one of the top three SOSs for the last few seasons now. A hallmark of UMD under Scott Sandelin is a challenging schedule and it also helps to be in arguably the top conference in the nation. 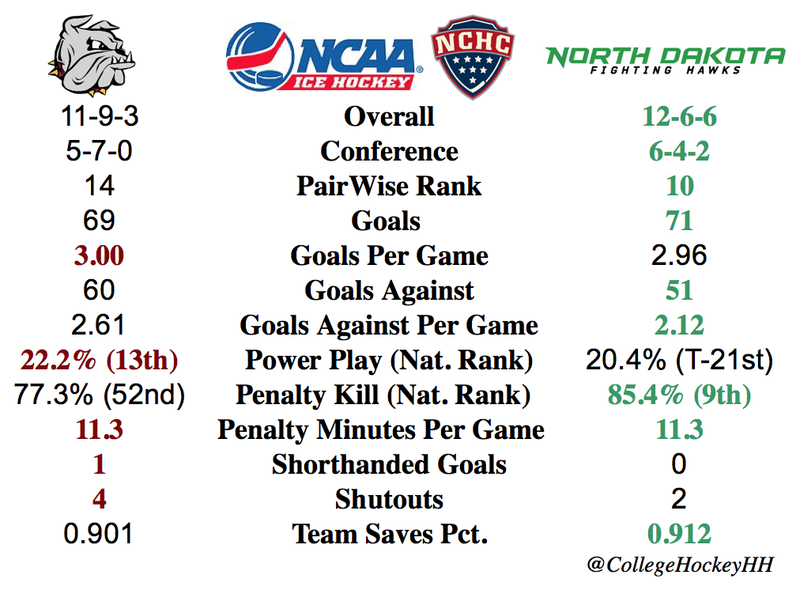 Currently the NCHC has the top four SOSs and six of the top eight. UMD currently is eighth.